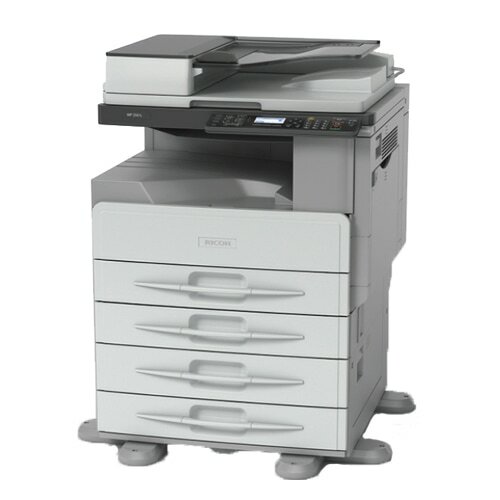 The Ricoh MP 2001/MP 2001L/MP 2501L support more efficient ways of working. With A3 printing, copying and colour scanning as standard, they do the work of several machines. Yet take up a fraction of the space and are more energy-efficient and economical to run. Perfect for busy workgroups, they are also highly productive. Fast print speeds and a rapid first page to print keep work flowing, while multi-tasking prevents bottlenecks. The colour scanner gives you scope to enhance processes further through electronic workflows and paperless archiving. Offering advanced features and economical operation, the Ricoh MP 2001/MP 2001L/MP 2501L are ideal devices for the modern workplace.